Why are translations so difficult to evaluate? 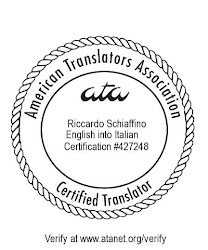 What methods are available to help assess translation quality? The article is scheduled to appear in the June 2006 issue of Multilingual, which should also contain other articles about translation quality. The article will actually appear in the July/August issue, not in the June issue. Any chance you would be kind enough to give an outline of the article here? I will actually try to have the whole articole on line, but I have to ask multilingual permission first.